Cabonne is perhaps an area or region not often spoken about or well known by travellers, but when you look closer at this amazing region of central NSW, you will find there is so much more to discover. Only a three and a half hour drive from Sydney or Canberra, and nestled between the towns of Dubbo, Orange and Parks, Cabonne welcomes you with a wide range of breathtaking attractions, Australia’s best food and wine, a rich history and heritage, and is a place where you can relax, unwind and discover new things. You can step back in time and visit Historical Museums and learn about ancient fish fossils or visit the site of Australia’s biggest and most famous gold robbery. Try outdoor activities such as hot air ballooning at Canowindra, Australia’s Hot Air Ballooning Capital, experience panning for gold at the Ophir reserve, or ride a bike along the country lanes and see the amazing landscape. There is also Yeoval, the childhood home of Banjo Patterson which also hosts the annual Mulga Bills Festival. If it is food and wine that tickles your fancy, Cabonne country offers a spectacular variety of freshly grown produce including dairy products, lamb, beef and venison, apples and berries, as well as two distinct wine regions making it the best place to have wine and relax. So please read our brief introduction to the Cabonne region and make sure you put it on your ‘must see’ list as you travel through central NSW. Cabonne is thought to be named from an Aboriginal word meaning “large”. The original inhabitants of the Cabonne area were the Wiradjuri Aboriginal people. European settlers arrived in the 1820’s. The land was used mainly for farming until the 1850’s with the discovery of gold in Ophir. Growth continued from the 1870s to the 1890s because of the gold rush. Much of the rural areas are used for timber, farming, including sheep and cattle grazing, vineyards and orcharding. Whether you drive through, wander the streets or relax in the parks and watch the world go by, the villages in Cabonne each offer something special to visitors. Many of them are RV Friendly towns and offer the chance to experience “Aussie Bush” friendliness at its best by meeting the people that make each village unique. Below we have a look at the villages and what each one has to offer. Borenore, located just 14kms West of Orange, a small rural community surrounded by orchards, vineyards and agricultural farming. It is a great place to enjoy a picnic and explore the Tunnel cave, Arch cave and the unique landscape. Borenore is home to the Australian National Field Days which is Australia’s oldest Annual Agricultural exhibition and attracts thousands of people each October. Canowindra is located at the Southern end of the Cabonne Shire, 36kms from Cowra and 60kms from Orange. It is well known for its wines with many cellar doors for the wine connoisseur to choose from. Canowindra is also home to a 360 million-year-old fish fossil collection which is located at the Age of Fishes Museum. The museum and fossils were visited and featured by Sir David Attenborough on his visit to Canowindra. 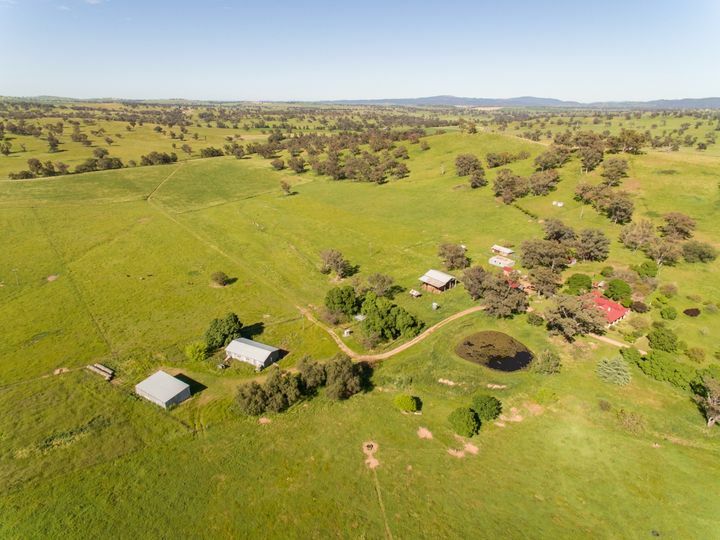 A friendly country town, 35km west of Orange and surrounded by the best agricultural land offers spectacular scenery. Cudal offers a quaint cafe, local Aussie pub and the old EW Corden Store which is now known as the Cabonne Food, Wine and Cultural centre, and also features a flying fox change dispenser which is still in action. There is a caravan park in town should you wish to stay and explore the surrounding vineyards and attractions. Slightly north of Cudal is Manildra, which is home to the largest flour mill in the southern hemisphere. 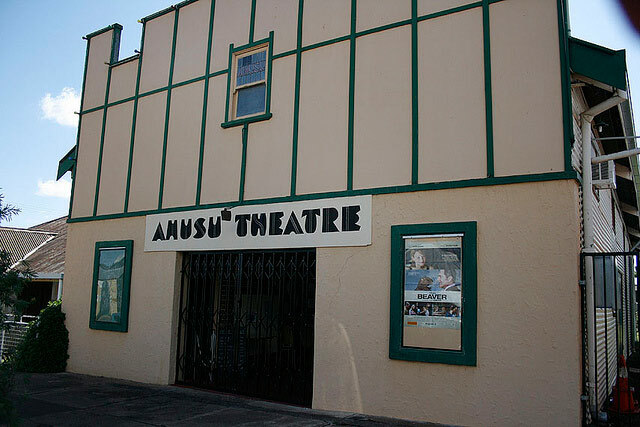 With many old historic buildings, it is also home to Australia’s oldest continuing operating picture theatre, The Amusu Theatre, pronounced “amuse-you”. Operating since 1936, it is now run by volunteers and features original décor, memorabilia and projectors. Cargo is an ideal place to take a break from driving while you explore the area. There is a well-developed children’s play area and BBQ facilities which is ideal for a picnic lunch. Eugowra is located in the rich Lachlan River basin in the heart of Bushranger country as it was the scene of Australia’s largest ever gold robbery in 1862. The short drive from Canowindra to Eugowra offers a spectacular view of hills and valleys, bush and farmland. The town is unique because of the rock formations of large granite boulders that lie between the houses and gardens. There are some beautifully painted murals on some of the buildings in town and they are also hosts of the annual Car & Bike show in April each year. If you love Gold and learning all about our gold mining history, Ophir is the ideal place to visit. Located near Mullion Creek, it is the site of Australia’s first payable goldfield, discovered in 1851. Located along hills and streams, Ophir Reserve is a great place to experience fossicking, gold panning, fishing, bushwalking and it has picnic and camping facilities. 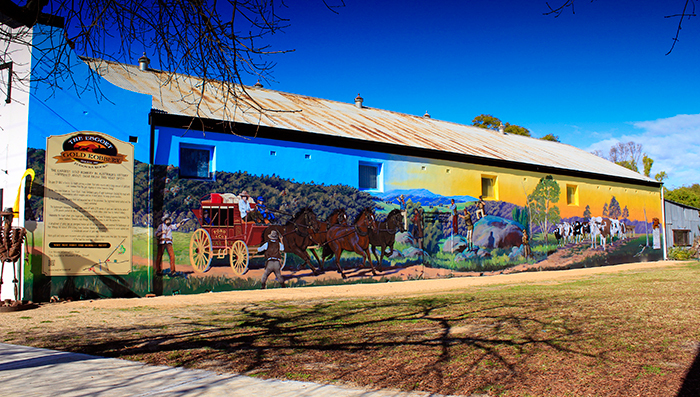 Step back into the past when you visit the old world of Molong. Only 32 kms from Orange, you will discover many other beautiful historic buildings scattered throughout the town, most of which date back to the 1870’s. The town’s history is well documented in the Historical and Railway Museum. A small quiet rural centre on the crossroads between Dubbo, Wellington and Parks is most famous as the town where Banjo Paterson spent his childhood. 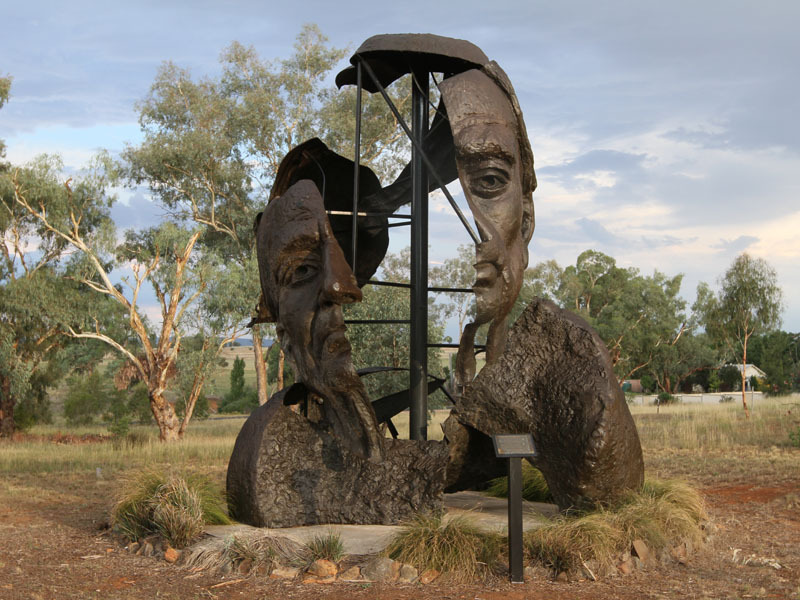 There are several dedications to Paterson include the ‘Banjo Paterson…more than a Poet Museum’ and the ‘Banjo Paterson Bush Park’ which houses the six-metre high statue of the famous English sculptor, Henry Moore. Looking for something to do while you are exploring the region, below are just a short list of what is available in the area. To learn more about each area you can visit the Tourist Information centres in each town. Cabonne country is an open country where you can experience the beauty of nature and breathe the fresh clean air and see several types of wildlife. The caves are located in the Borenore Karst Conservation reserve which is about 20km west of Orange. It offers the opportunity to see Stalactites and Stalagmites up close via the Arch Loop Track or Veranda Cave which are both accessible from the Borenore Picnic area. Experience the thrill of flying high and see the whole countryside from the air. 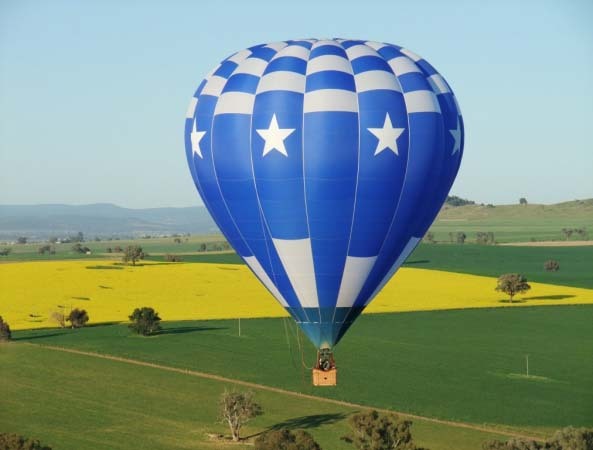 Watch as these majestic giants are filled with hot air and rise silently into the sky and drift over the majestic landscape of Canowindra. Enjoy the beauty of Canowindra on a Hot Air Balloon flight with an extra bottle of Champagne per couple to all FRC Premium Club Members. Go back in time by seeing collections of Cabonne’s past, displayed in the many museums of Cabonne’s towns. The Cabonne countryside is a real inspiration to many local artists and the region boasts an array of many galleries with unique artworks. Some local galleries include Jayes Gallery @ Molong and the Old Vic Inn Gallery @ Canowindra. 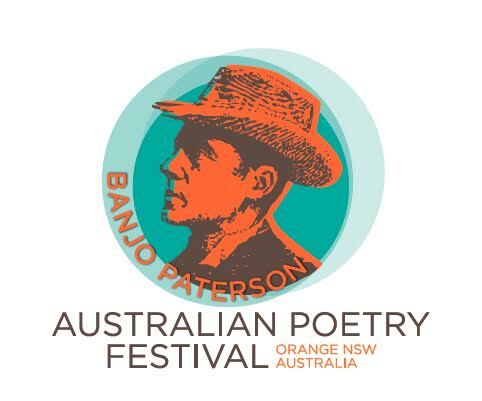 Banjo Paterson’s Waltzing Matilda is known worldwide; many Australians can recite a string of his poems, and his work has been converted to song and theatre. What better way to celebrate this great Australian’s life and work than through a Festival in the district in which he was born. This event will be celebrated each February in Orange and its surrounding regions. Happens in April each year, as the skies above Canowindra come alive with the roar of the burners and visual spectacular provided when a mass of hot air balloons take flight. Held in April each year is based in Orange but spills out into the Cabonne region with over 90 satellite events held over a 10 day period. 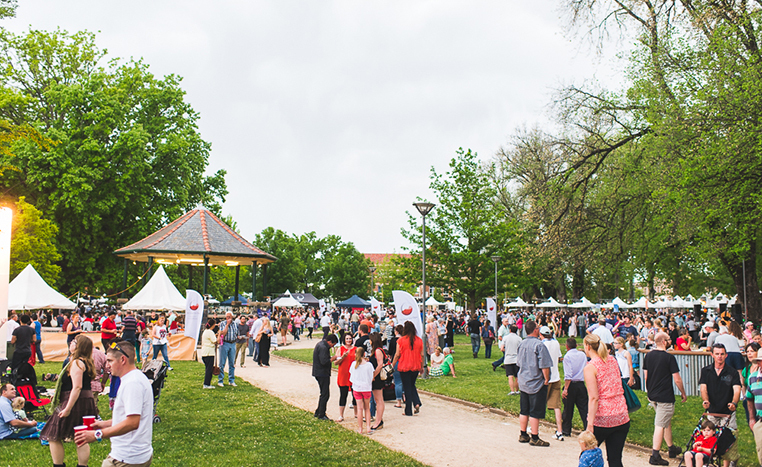 Focusing on showcasing the best food and wine in the region it is a foodies heaven. The Cabonne Region is a campers and caravanners delight and there are so many places to stay we cannot list them all here. Below we have selected just a small handful of places to stay for Campers and Caravanners, but for our full list of options, you can login to the Free Range Camping Directory. Cudal Caravan Park – Offering basic facilities and catering from tents to big Rigs, an ideal location to base yourself to explore the mid to southern end of the region. Ophir Recreation Reserve – Located in a beautiful, peaceful gorge where the Summer Hill and Lewis Ponds Creeks converge there is a picnic and camping ground where you can camp for the night on the banks of Summer Hill Creek. Canowindra Rest Area – This is a small area on the edge of town where you can spend a few nights and check out the area. Best suited to Fully Self Contained vehicles.